Panama City has heaps of different neighborhoods to choose from, and for the first-time visitor it’s pretty hard to decide. The question of where to live anywhere in the world is a very personal one, and there is a never-ending list of factors that come into play. What do you want versus what do you need? What can you afford? What quality of life are you looking for? And what would you like to get out of the city? What are my commuting requirements (if any)? Close to the tourist fanfare or quieter and farther from the action? When you first arrive into the capital city of Panama, we recommend looking on Encuentra24 for apartments and make friends with Airbnb. You can even dip your feet into different neighborhoods to see what appeals to you best. 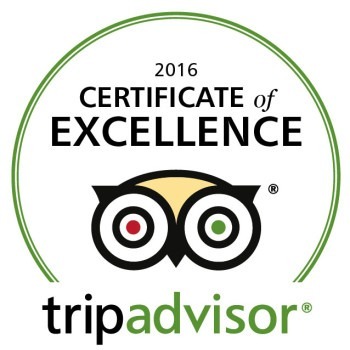 For all short-term visitors, nothing will beat the experience of staying in Casco Viejo however. It is the part of Panama City, which helps tourists and travellers fall in love with Panama and has pretty much everything your heart will desire. It’s pedestrian friendly and holds the bulk of Panama’s best restaurants, accommodations, sightseeing and even nightlife. 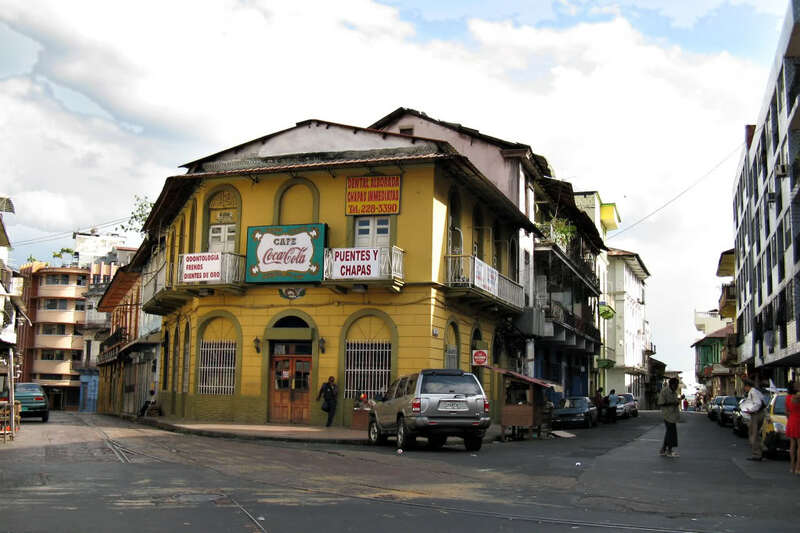 Casco Viejo is the second most visited part of Panama after the canal. Here is a little bit about each neighborhood to help you make an informed decision on where to stay in this metropolitan paradise. One of the best places to stay in Panama City, Casco Viejo proudly wears the title of coolest neighborhood, and most of the nightlife has migrated here. In the day, your time will be spent taking in the beautiful narrow streets, endless viewpoints of the Pacific and a ton of attractions. Casco has several names (Casco Viejo, Casco Antiguo and San Felipe) and was bestowed with UNESCO World Heritage status in 1997 and is a place of contrasts, the juxtaposition of old and new. It is experiencing a lot of regeneration and painfully cute cafes are popping up at an alarming rate. If you want a high standard of living in Panama City, and lots of evening entertainment, it might make sense to situate yourself here in Casco instead of making the commute from the downtown area each day. Casco is also exceptionally safe and has a robust police presence, with the president’s offices being located right here. Staying in Casco Viejo also means that you are a stones throw from Cinta Costera, the most adorable oceanfront walkway and park. 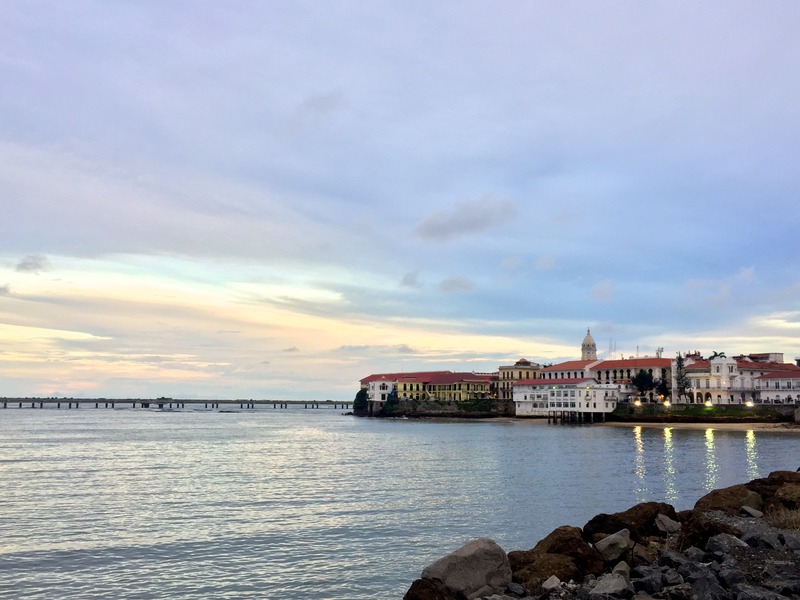 A stroll from Casco through the fish market (Mercado de Mariscos) and onto Cinta Costera will bring you face to face with our city’s famed skyline as well as a huge Panama sign to enable you fulfil your Insta-bragging duties. If you are studying with us here at the Casco Antiguo Spanish School and choose to stay in Casco, you will conveniently have everything (almost) under one roof: yoga studios, hotels, hostels, restaurants, decadent rooftop bars caressing the sky, gelaterias, cafes, churches, shops and historical squares – there are four (Plaza Herrera, Plaza Bolivar and Plaza de Francia, Plaza Mayor, also known as Plaza de la Independencia). Within Casco’s collection of dreamy balconies and narrow streets, you WILL be spoiled for choice. Not staying in Casco Viejo is a regret many a visitor to Panama City will have. It’s indisputably the most magical part of Panamá to stay and your experience will be richer for it. It’s the most popular destination in Panama City for good reason with its beautiful charm that is near logic defying. If eating out is your bread and butter, you’ll love San Francisco, as there’s a truckload of food trucks dotted around the neighborhood. Esa Flaca Rica serves up the juiciest burgers and you can enjoy some fine Argentine Choripan right here in Panama. What da Fork, Pig Backside, The Smoke Truck and Anti-Burger also serve carnivores well. Hoy tenemos Costillas de Eva en nuestra sucursal de SAN FRANCISCO. Llegate antes que se acaben! #esaflacarica. If there’s a major event going on in Panama, it’s most likely to be held at the ATLAPA Convention Center, which is the largest in the country. Park Omar Torrijos is here too, which has free exercise classes every single day. To live in Punta Pacifica is lush to say the least, given its location right in front of the Pacific (the name gives it away). This exclusive area has an abundance of shops, private schools and a private hospital, John Hopkins with English-speaking doctors. It’s part of the district of San Francisco and is home to Multiplaza Mall (which houses all your favourite brand stores from back home) as well as the Panaviera bar at the Ocean Sun Casino, which is the highest pool bar in Panama and Central America as a whole. Ferry Las Perlas will also take you to Contadora and Saboga islands in no time. “The crab” – so called due to the way the streets sprawl out – is wholly cosmopolitan, yet tranquil enough to actually live in. El Cangrejo is a former Jewish enclave, though much of the population has since moved to upscale Paitilla and Punta Pacifica. A nod to its past is still evident through the rather large statue of Albert Einstein in the aptly named Plaza Einstein. Today, El Cangrejo could be perceived to be Panama City’s most multicultural neighborhood, judging by the sheer magnitude of restaurants serving international cuisine. For greenery, there is Parque Andres Bello and Recreational Park Omar Torrijos is a 40-minute walk if you’d like to get your heart rate pumping. Like Casco Viejo, it is one of the few neighborhoods that lends itself to walking. Balboa Avenue is a tourist attraction in itself, but it might not be the calmest place to live given the estimated 75,000 vehicles, which pass by per day. It is however, practically smack on the Pacific Ocean and many apartments here will leave you drooling at the decadent views. You will probably also pay a premium for having the water right on your doorstep, but at least you’ll be able to say you have the president as a neighbor (he lives in the Intercontinental Miramar hotel). Another benefit of living on Avenida Balboa is that you have a park right in front of you, the ever-photogenic Cinta Costera. It’s also great for it’s proximity to Casco Viejo and is the next best place for Casco Antiguo Spanish School students (after Casco Viejo, of course). It is a short walk or bike ride from here to the old quarter. Everything’s within walking distance in Marbella, a modern neighborhood behind Avenida Balboa. It’s also a stones throw from Calle Uruguay which used be the city’s nightlife haven. Now it’s a quiet area to dine on the fancy food you fancy in peace, a bounty of skyscrapers and Parque Ricardo Galindo. Close to the ocean belt, Marbella means the “beautiful sea”, and it is indeed one of the most beautiful parts of the city to see. This 310-hectare area is one of the grandest real estate developments in the Panama City. Since the project was dreamt up in the mid-90s, it has become a skyscraper car park to the East of Panama la Vieja. Many multinationals have set up their headquarters here in Costa del Este including Unilever, Copa Airlines and DHL. The area is proudly home to not one but two malls, Atrio and Town centre. Obarrio is not the cheapest place to live and its streets are lined with embassies, shops, restaurants, hotels and casinos. The Museum of Modern Art (MoMA Panama) breathes some creative flair into the region and co-working spaces like Workings attract freelancers and remote workers en masse. Incredible views from the @workings location in Panama City. The terrace was perfect for breaks, and the staff was lovely. A cloudy but fantastic day. Albrook has the benefit of housing the largest mall in the Americas, the bus terminal, as well as the domestic airport, Marcos A. Gelabert Albrook Airport (PAC), making getting around Panama ridiculously convenient if you live here. Albrook is exceptionally family-friendly with lots of open space and parks as well as two public pools. Clayton is a family friendly district near Albrook in the west of the city. It has lots of leafy green space, a public pool, international organisations, international schools and the American embassy. Within Clayton is the Ciudad del Saber (City of Knowledge), a cluster of governmental and non-governmental academies, tech companies and organisations. Clayton is a 15-minute drive from Casco Viejo without traffic. Casco Spanish is the closest Spanish school to Clayton and you don’t have to drive all the way downtown. A scenic drive away, Panama Pacifico houses a small International airport on the former Howard Air Force Base, Panama Pacifico International Airport (BLB), a spate of international schools and large corporations like Dell. Casco Antiguo Spanish School is the closest Spanish language institute to Panama Pacifico. Panama is a country with many archipelagos, one of which is right here in the city. The Amador Causeway is a road that connects the mainland with an archipelago of four small islands called Culebra, Flamenco, Perico and Naos. It is extremely popular for biking, jogging and brisk walks. It offers spectacular views of the Bridge of the Americas (Puente de las Americas) as well as the entrance of the Panama Canal. The most popular landmark here is the multicoloured Biomuseum designed by Frank Gehry.